On Friday, Mexico announced it had created the largest marine reserve in North America. The sprawling reserve encompasses the Revillagigedo Islands, a series of volcanic islands off the coast of the Baja Peninsula. At more 57,000 square miles, the new reserve is bigger than Michigan. Prior to the expansion, protections only extended six nautical miles around the islands. 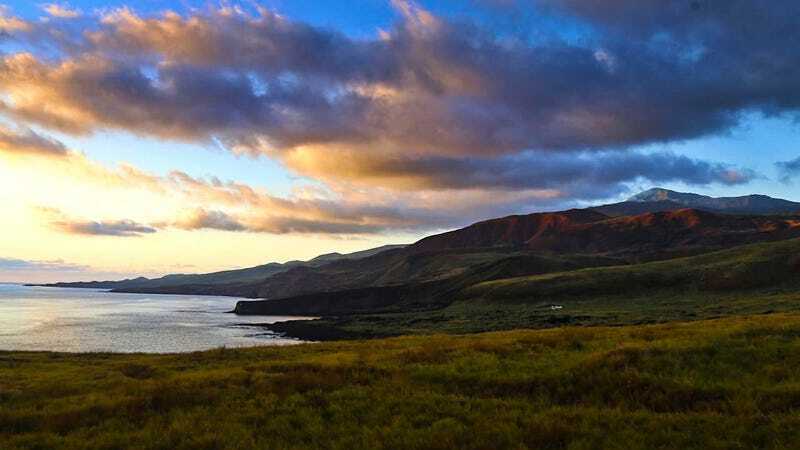 Now, a huge swath of ocean will be off-limits to fishing and other commercial activity, insulating the islands dubbed the “little Galapagos” from human impacts, and allowing biodiversity to flourish. The waters surrounding the island chain are home to 366 species of fish, 37 shark and ray species, and four types of sea turtles, according to Pew Environment. Mexico’s Environment and Natural Resources Secretariat said the reserve alone is home to 13.2 percent of the country’s fish species. That includes giant manta rays, as well as other bizarre sea creatures that inhabit the deep waters. Scientists aboard the research vessel the E/V Nautilus were floored by what they found when they explored the island chain a few weeks ago. The islands themselves are also home to a number of species found nowhere else in the world due to their isolation. In total, UNESCO—which declared the islands a World Heritage Site last year—estimates that there are at least 52 endemic plants, reptiles, and birds on land. Aside from a small naval presence, there are no humans living on the islands, which sit about 240 miles southwest of Cabo San Lucas. The location of the Revillagigedos are what makes them so unique. They sit at the confluence of the California and Equatorial ocean currents. The former ushers cool waters from Alaska southward, while the latter is a source of warm tropical waters. That allows for a diverse array of species to call the waters around the islands home, and makes it an ideal stopover for migratory sea creatures. Up to 2,000 humpback whales patrol the waters during winter months. “We are proud of the protection we will provide to marine life in this area, and for the preservation of this important center of connectivity of species migrating throughout the Pacific,” Mario Gómez, executive director of the Mexican conservation nonprofit Beta Diversidad, said in a statement. The Mexican government already restricts access to the region, with a set number of diving and sports fishing permits. Nobody is allowed on the islands themselves without a permit. The new protections will further insulate the area from negative human impacts. They could have a huge economic upside, as well. The Pristine Seas initiative estimated that fishermen could see an increase in catches in adjacent waters—something that happened in the Galapagos after a fishing restriction was put in place in 1998—and an uptick in diving tourism. Just last month, Chile and the small island nation of Niue announced the creation of three other marine reserves spanning a total of 290,000 square miles. The push to protect more parts of the sea comes at a time when President Trump is considering shrinking marine protected areas and opening them to commercial oil exploration and fishing. That includes the Pacific Remote Islands National Marine Monument that Bush created in 2009 and Obama expanded in 2014 to become the world’s largest marine reserve. Because of course, if the rest of the world decides to finally move in the right direction on an issue, the U.S. will do the exact opposite.